I recently spent a month in Europe and had an amazing time. It was my first time in the Europe so I went to a lot of touristy places, but I first stopped in Iceland for a week before flying on to London (check out Icelandair and their stopover options). Iceland is a photographer's paradise, and I've dreamt of going there for years. Though it was absolutely freezing, the landscapes were absolutely breathtaking and unlike anything I'd ever seen-- I felt like I was on another planet! A couple friends and I rented a car and drove around the southern half of the island. We were in the country for about five and a half days and managed to cover most of the Southern half of Iceland at a comfortable pace. We covered part of the Ring Road and also went to the Golden Circle, where we saw glaciers, waterfalls, and the coolest rock formations. 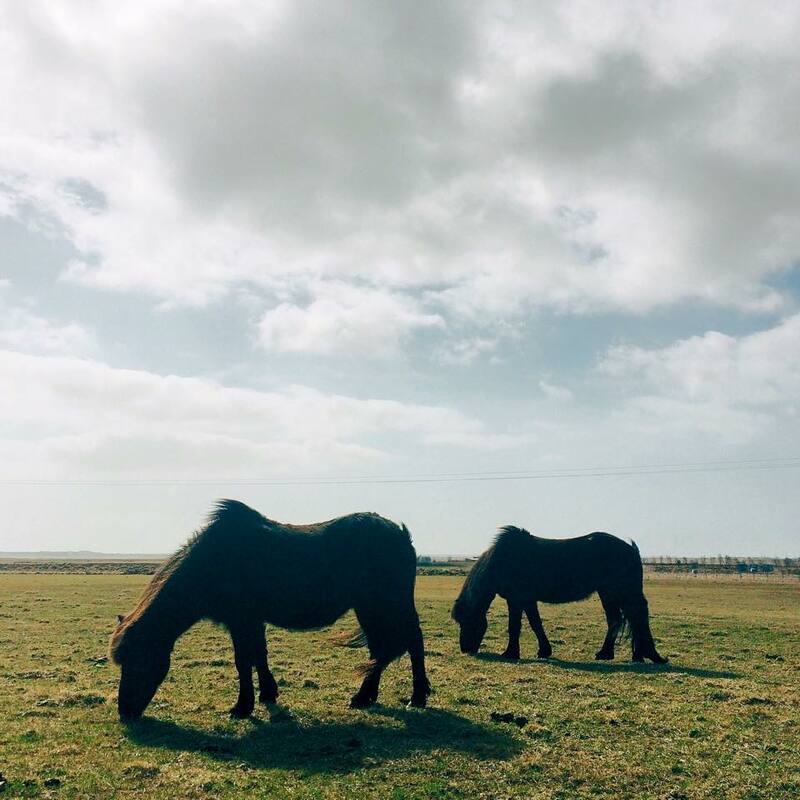 The landscape was dotted with Icelandic horses (smaller, fluffier, sweeter versions of their Arabic counterparts) every couple of miles, and there were tons of random waterfalls on the sides of cliffs. Be ready to eat a lot of gas station sandwiches. Like, a lot. (But they're tasty!) And a lot of lamb meat or lamb-based dairy. Dress warmly and in clothes that will keep you dry! Make sure you have a card (usually a debit card with a PIN) that will work at the many N1 gas stations that you'll be stopping at. Iceland tap water is very very clean and perfectly safe to drink! Don't worry about buying a ton of bottles, just get one big one and refill it throughout your trip. If you want to see something specific (Northern Lights, puffins, etc. ), make sure you're going during the right time of the year, but is beautiful no matter when you go. The Blue Lagoon This geothermal spa is definitely worth checking out. Though a bit touristy, it's close to the airport and the color of the water is gorgeous. You can rent towels and bathing-suits there, and lockers are provided. The Blue Lagoon also offers massages and spa treatments, and there's a nice restaurant as well. Just make sure you condition your hair thoroughly afterwards-- my hair was extremely dry and tangled for the next few days after coming in contact with the mineral-rich water. Sólheimasandur Plane Wreck In 1973, a US Navy plane crashed along the southern coast of Iceland on a black sand beach. No one was injured, but the hollowed-out plane wreckage is still hanging out at the crash site. From the main road, it's a bit of a trek to get to the plane itself, but if you have a 4x4 you can make the drive easily. Make sure you have the correct GPS coordinates so that you're driving in the right direction (towards the ocean), as you can't really see the wreckage until you're pretty close. The walk is relatively flat, but strong winds and the rocky ground made it a bit more challenging. Þingvellir (Golden Circle) Thingvellir is a UNESCO World Heritage Site and the first national park of Iceland. A lot of important Icelandic history went down here, and there are beautiful views and some rock walls that made me feel like I was in a Lord of the Rings movie (always a bonus). Geysir (Golden Circle) This area includes several geysers all within a short walk. The main geyser (Geysir) is relatively inactive and hasn't erupted since 2000, when Iceland was hit with a 6.5 magnitude earthquake. Other geysers nearby include Strokkur, which erupts every 4-8 minutes. Read about how volcanism created these geysers, and take care not to stand in the direction the wind blows the water (it's hot!). Gulfoss (Golden Circle) It's a short trek up to the top of Gulfoss, but the view is gorgeous. The sheer enormity of this waterfall blew my mind, and the massive crevice in the middle gave the illusion that the waterfall was descending into the center of the earth. It was pouring when I went and the rocks were pretty slippery, but otherwise the hike up was very easy! Kerið This volcanic crater lake is an easy stop by the side of the main road, but the only place where we had to pay (I think admission was around $5). You can take a walk around the edge of the crater and see it from above, or head down to the edge itself. Urriðafoss No hike required to get this massive waterfall! I loved the color of the water and how many different parts of it there were. Icelandic Horses I know horses aren't exactly an attraction, but I loved seeing these guys dotted all along the landscape. They're all owned by farms, but be sure to make a pit stop to say hello to them! Seljalandsfoss We hadn't put this waterfall on our itinerary but saw it while we were driving and had to stop by. There are stairs that lead to the back of the waterfall, but tread carefully on the wet rocks! Vik Beach This black sand beach was one of my favorite stops. We stayed at the town of Vik overnight, and this beach was just a short drive away. 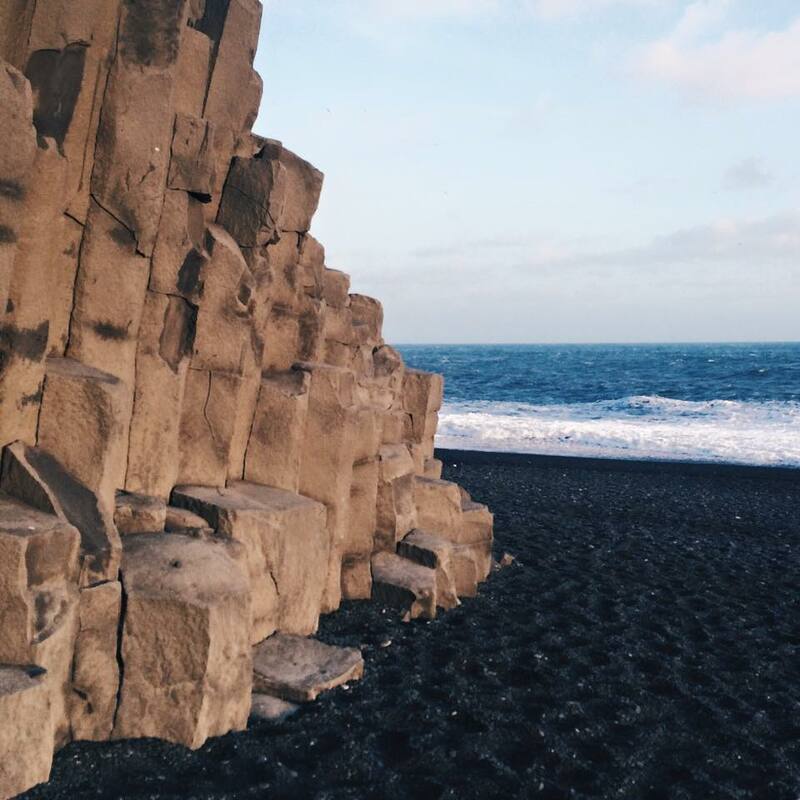 There are some incredible basalt columns and crazy rock formations that look like something out of a sci-fi movie. We went at sunset and the wind was insane, but the view was gorgeous and I loved that every rock on the beach was perfectly round and smooth. Skaftafell National Park Skaftafell is a great stop with a ton of different things you can do. We took a glacier tour with Glacier Guides that was such a great experience and really informational. We learned a lot about the formation of glaciers in Iceland, and the glacier we hiked on was where they shot some of Interstellar-- there were even tiny pieces of the set left over! We didn't see the famous Svartifoss waterfall because we were too tired, but it's supposed to be an easy hike. Skogafoss When I saw Skogafoss, I had one of those "oh-my-gosh-is-this-actually-happening" moments-- there was a massive double rainbow and the waterfall seemed too perfect to be real. It's one of the biggest waterfalls in Iceland, and apparently rainbows are a common occurrence on sunny days. There's a staircase that takes you to the top, but I didn't think the view was particularly worth it. Jökulsárlón This glacier lagoon wasn't originally on our itinerary because it was further east, but... heck, it's a freaking glacier lagoon. We even got to witness a small wedding ceremony take place by the water. Reykjavik I didn't spend too much time in Reykjavik, but the downtown area is relatively small and can be covered in a day. There are a lot of souvenir shops but a lot of cute design boutiques as well. Check out the church Hallgrímskirkja and the concert hall Harpa, and make sure you try an Icelandic hot dog at the best hot dog stand in town-- Baejarins Beztu Pylsurl! I can't wait to come back to Iceland to see the rest of this beautiful country!